Here’s the description: Cascading hearts set the loving theme of our 2012 Fundraising Design for the Susan G Komen Foundation. Lacy and feminine, this three-quarter circular shawl drapes beautifully whether it is hanging over the shoulders or wrapped scarf-style around the neck. This single-skein design features a fun and unique short-row border which adds an eye-catching finish to this lovely garment. $2.00 from the sale of each Cardioid Shawl Kit will be donated to the Susan G Komen Foundation to support their ongoing research and education programs. I’m wondering if circular shawls need to be 3/4 circles to drape properly over ones shoulders? Is not a half circle sufficient? 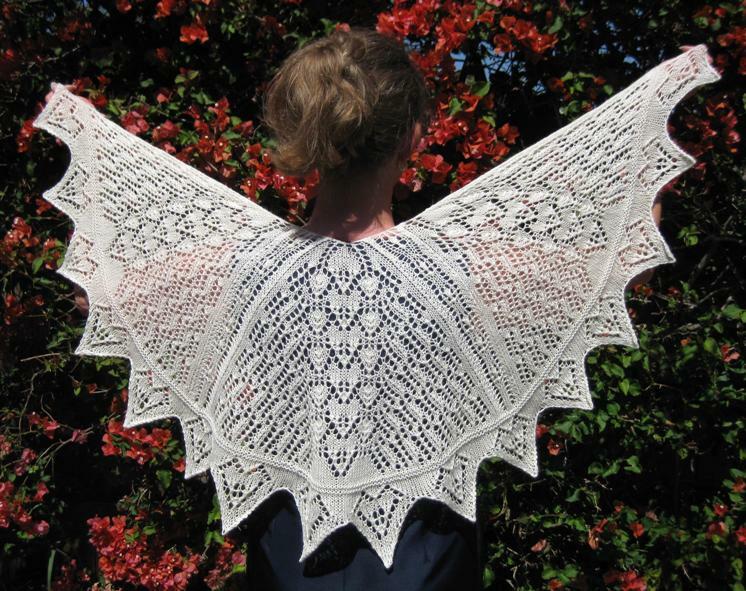 I wanted to use a crochet doily pattern to make a lacy circular shawl.